Okay, I know most of the year we all try to do our best to eat healthy, exercise, be good, do everything in moderation, yada, yada, yada. Well doggone it!! I want one day where I can just eat to my heart’s content and not feel bad about it! Can I get a really loud AMEN? So with that rebellious spirit, I would like to share with you some REALLY good looking and EXTREMELY sinful Thanksgiving Day Dessert Recipes that I found in the wonderful world of the internet. Just click on the blue links to get to the actual recipes. The first recipe I found looks simply heavenly! It’s a beautiful Pumpkin Mousse recipe, made by Over the Tipsy Top Design. I could just dive into this one head first! This recipe takes some time and a good amount of ingredients. It also includes rum as an optional ingredient. Not as easy as other dessert recipes I’ve seen, but the outcome looks to be well worth it. The second recipe that caught my eye was this Pilgrim Hat Cookies recipe, from Woman’s Day Magazine online. Aren’t these just too cute? There are only 3 ingredients to this recipe and they take no time to make. These are especially good for the little ones. They’ll love to see a tray full of these when they walk in the door. The third recipe I found is from The Chew online. 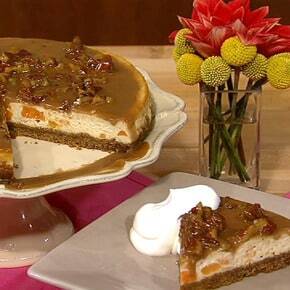 It’s called Chef Jamika’s Sweet Potato Praline Cheesecake. This sweet creation has a graham cracker crust with a mashed sweet potato filling and a praline topping. 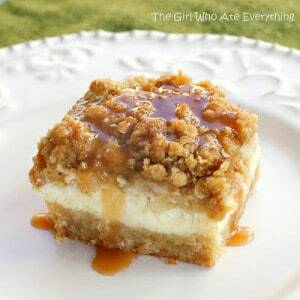 My fourth recipe choice is these Caramel Apple Cheesecake Bars, from The Girl Who Ate Everything. This is a pretty traditional cheesecake recipe with a traditional crust and cream cheese filling, but it also includes granny smith apples, a streusel topping with oats and brown sugar, and caramel to top it off. It’s like a hybrid of cheesecake and apple pie. Yum!! Recipe # 5 comes from a site called Bakers Royale. I give you Pecan Pie Cookies. Okay, these could very well be my favorite recipe thus far. I absolutely LOVE pecan pie. 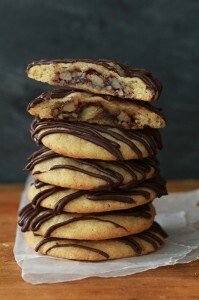 But to have it inserted into a cookie with chocolate drizzled on top? Well, it should be illegal, but thankfully it’s not! If you try this recipe, PLEASE comment on my post and let me know how they turned out. My 6th recipe reminds me so much of my late mother-in-law. She was the sweetest, most generous lady I ever knew and I miss her so much. Every holiday she made a to-die-for chocolate pie. What I loved about it was it tasted like chocolate fudge but also like a brownie with pie crust. Dollop some whipped cream on it and I forget where I am. I don’t have my mother-in-law’s actual recipe, but this looks to be very similar. 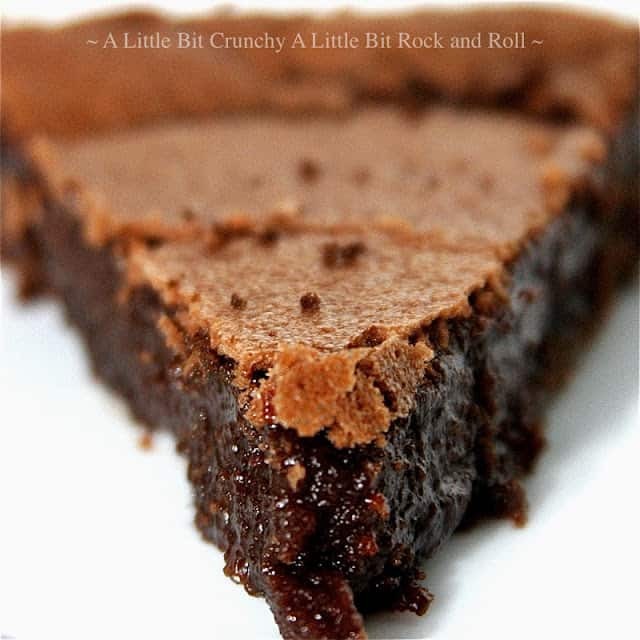 It is called Chocolate Chess Pie from a website called Crunchy Rock. Number 7 comes from a site called Bake It in a Cake. These are called Fran’s Salted Caramel Brownie Bites with Salted Caramel Buttercream. I have to say these look ridiculously fattening and over the top, but oh my goodness, I would love to try them. I never thought I’d like the salt/caramel combination until I tried a salted caramel cupcake from Georgetown Cupcakes. I honestly went to another dimension while I was eating it. If you haven’t tried anything salted caramel, I highly recommend it. My 8th recipe comes from a site called Culinary Couture. 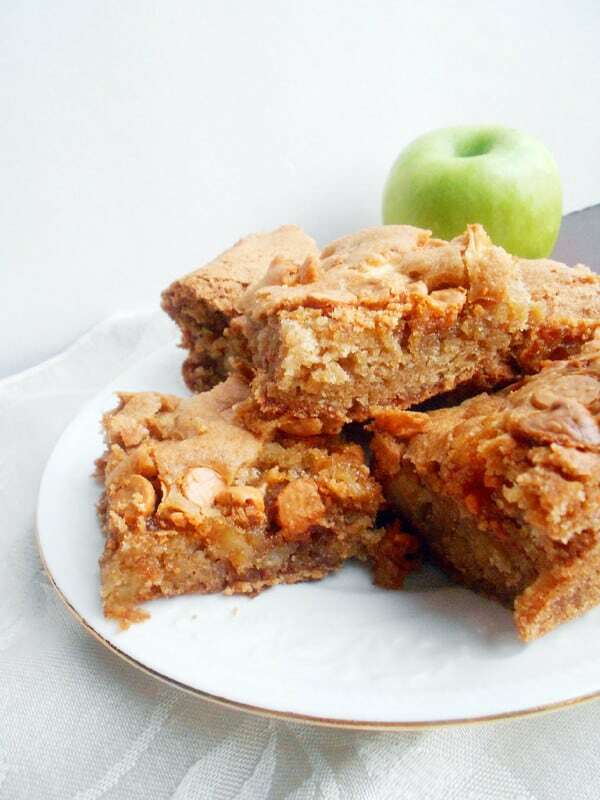 These are called Apple Pie Bars. I don’t know what it is with me and bars, but I just love them. Maybe because they don’t require a plate or a fork. You can just pick one up and pop it in your mouth. These Apple Pie Bars look so rich and flavorful. They are not the typical apple pie taste because they have butterscotch chips in them, but I’m willing to bet they are delicious. Adding walnuts to them would be even tastier. Recipe # 9 comes from Southern Living but is featured on MyRecipes.com. It is Key Lime Pie. 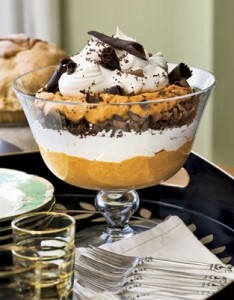 This dessert recipe would be a great choice if your Thanksgiving dinner is going to be later in the day or evening. As much as you think you’ll be able to fit everything in, once you’ve eaten that big dinner, you’re going to want something light and tangy to finish off the day. 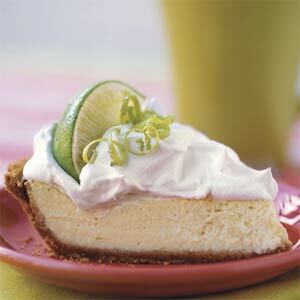 Key Lime Pie is the perfect solution. You can’t go wrong with it. 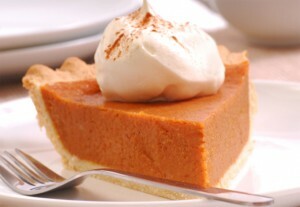 And finally, last but not least, my # 10 recipe is something you can’t do without on Thanksgiving Day – the traditional Pumpkin Pie. I found this on the Giant Eagle’s MarketDistrict.com website. 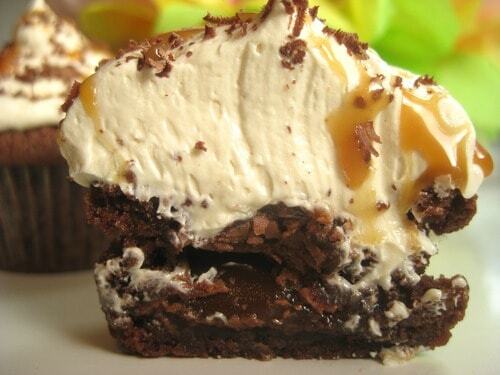 This recipe has over 2300 pins on Pinterest. It must be good! So that’s my ooey gooey, delectable, sinful, ridiculous, insane, over the top Thanksgiving Dessert List. I hope you find one that inspires you to make for your guests on Thanksgiving Day. And if you do, please comment and let me know how it turned out. AMEN! I struggle all the time with the weight issue and always have to think about what I am about to put in my mouth….Thanksgiving is the one day I don’t think twice….I am going to eat whatever I want and worry about it another day. I love this holiday, so no dieting for me….I am definitely going to try a few of those luscious recipes…thanks for sharing! 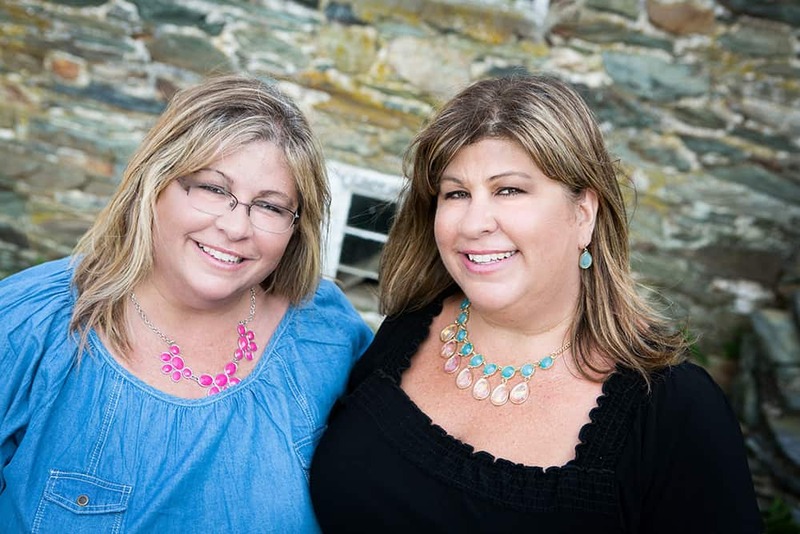 You ladies have a great Thanksgiving and please pass my wishes to your lovely Mom. Thank you for that AMEN Nancy!! I hope you and your family have a wonderful Thanksgiving and let me know how your recipes turn out! I’ll be sure to pass along your wishes to my Mom.